Goodreads says, "It’s the early 1930s, but Cora Scott is walking in stride as a career woman after having inherited her great aunt’s wedding shop in Heart’s Bend, Tennessee, where brides come from as far away as Birmingham to experience her famed bridal treatment. Meanwhile, Cora is counting down the days until her own true love returns from the river to make her his bride. But days turn into months and months to years. All the while, Birch Good continues to woo Cora and try to show her that while he is solid and dependable, he can sweep her off her feet. More than eighty years later, former Air Force Captain Haley Morgan has returned home to Heart’s Bend after finishing her commitment to military service. After the devastating death of her best friend, Tammy, and discovering the truth about the man she loved, Haley is searching for her place in life. When Haley decides to reopen the romantic but abandoned wedding shop where she and Tammy played and dreamed as children, she begins a journey of courage, mystery, and love. As Cora’s and Haley’s stories intertwine through time in the shadow of the beloved wedding shop, they both discover the power of their own dreams and the magic of everyday love." Cora Scott is a bit of a spinster, at least according to the standards of the 1930s. She is unmarried and owns the town's successful wedding shop that has been in her family for years. People come from far and wide for the exquisite dresses, the beautiful work of the seamstress, and the outstanding customer service. The Wedding Shop makes every bride, regardless of their background, feel special. But Cora isn't feeling too special lately. 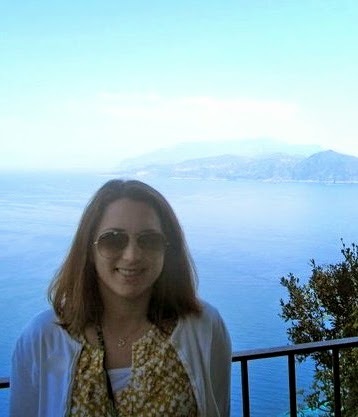 She is in love with Rufus, a river boat captain, and she has pledged herself to him. He is in love with her as well, but is so busy with his travels on the river, that he can't commit to something, at least right now. He wants to make something of himself before they start a life together. Cora has been hanging on his every word for years, but now she is getting impatient and not any younger either. Fast forward to present day, Haley returns home after her service abroad and her best friend's untimely death. Haley and Tammy, her best friend, promised that they would reopen the wedding shop in town and bring it back its former glory. After all, it is a special place of their childhood, but with Tammy now gone, Haley isn't sure if she should still pursue their dream. To complicate matters worse, a development company wants to knock it down, even though it's historical and used to mean something to the town of Heart's Bend, Tennessee. Rachael Hauck blends two seemingly very different characters and their journeys very well in The Wedding Shop. 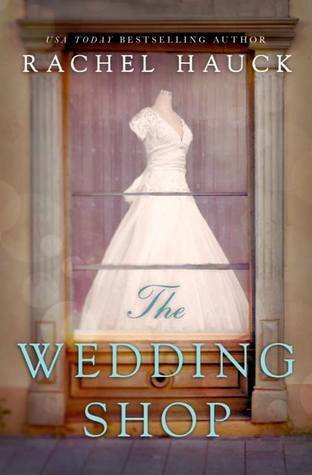 Hauck's The Wedding Shop is a time slip novel and I loved that aspect of this book. There's something for everyone here. If you enjoy historical fiction, you'll love being transported back in time to Heart's Bend in the 1930s. Heart's Bend is such a fantastic town. I swear it's straight out of the set of It's a Wonderful Life. I found Cora's story to be a bit more interesting than Haley's even though I could predict various aspects of her journey, especially when it came to Rufus. I wanted to shake her and say, "wake up," especially when she had such a great guy like Birch following her around like a puppy. She couldn't see what was right in front of her. On the other hand, Haley is a modern woman who served her country overseas. She has lost her way a bit, especially since her family is filled with such over-achievers. She is trying to figure out the next step and remembers her promise to Tammy. So, she sets off with the goal of restoring The Wedding Shop and in turn, starts to work with Cole, a contractor, and also Tammy's ex. While I wasn't that into the fact that she starts to have feelings for her best friend's ex, I did want to see her happy. At first I really didn't see a connection between Cora and Haley, other than their interest in the shop, but as time went on, I liked to see how the pieces of the puzzle slowly fitted together. At times, The Wedding Shop was a bit too overly sweet, but to be honest, it was just what I needed at that time. It was like spending the afternoon lounging in your favorite sweats and oversized sweater with a cup of hot tea. It was indulgent, sweet and heartwarming. It should be noted that Hauck traditionally writes Christian Fiction and while I don't have a problem with that, it's not really my thing. However, I am glad that it didn't deter me from checking out The Wedding Shop. What little elements of Christian Fiction were there, were well done and not in your face. So, all in all, I really enjoyed The Wedding Shop and definitely want to check out the other books in this series, especially when I am looking for something charming. I'm curious as to how their stories intersect. I've always been a fan and have always looked forward to seeing how two stories converged into one. Thanks, Joy! I always love when that happens, especially in a time-slip novel. Thanks for visiting! I definitely preferred Cora's storyline over Haley's. 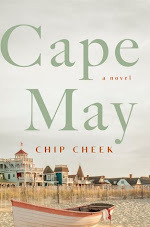 This book could almost be a Hallmark movie in terms of sweetness but it was a pleasant read. Nice review! I agree. It would be a great Hallmark movie! It's the perfect kind of read when you want something sweet. Thanks for visiting!